Acquiring, managing and maintaining data center storage has been ITs most difficult financial challenge. With the accelerating demand for added capacity, IT management must develop new and more sustainable practices and processes. One of them must be to apply a more rigorous approach to storage capacity efficiency. 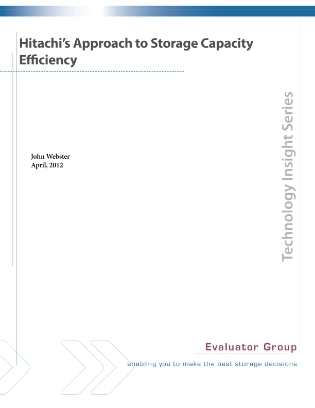 Read this report examining and detailing the Hitachi approach to delivering storage capacity efficiency via its USP V and VSP platforms. In doing so, it will highlight how Hitachi looks at the overall economics of storage by reducing relevant operating expenses which they address with the characteristics of their storage systems and software.